Dundee have complete the signing of left-back Brian Easton on a free transfer from English side Burnley. 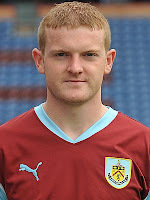 Brian who started his career with Hamilton Accies before moving to Turf Moor in 2009. He will be a very good signing for the Dark Blues, and will add competition for the left-back position.